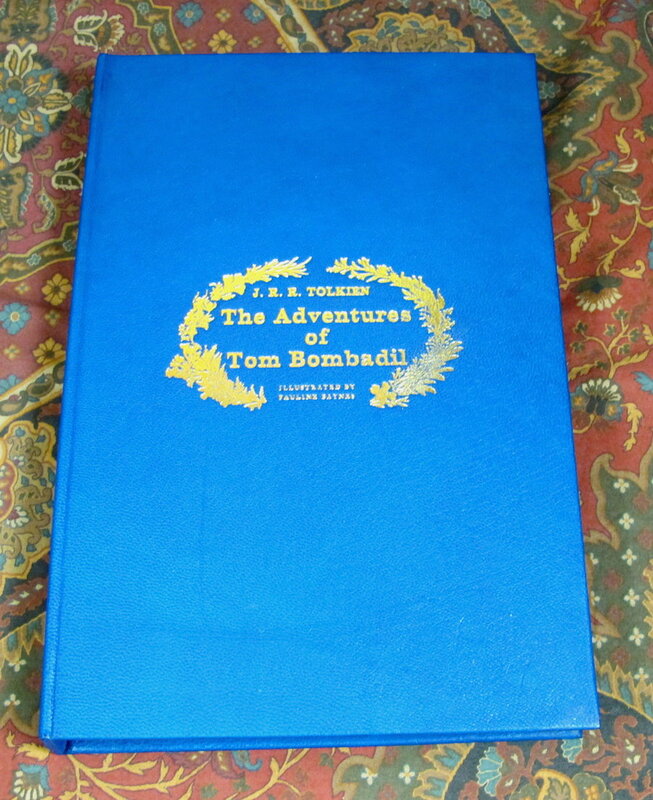 With the lower portion stamped with Pauline Baynes figure of Tom Bombadil from the title page. 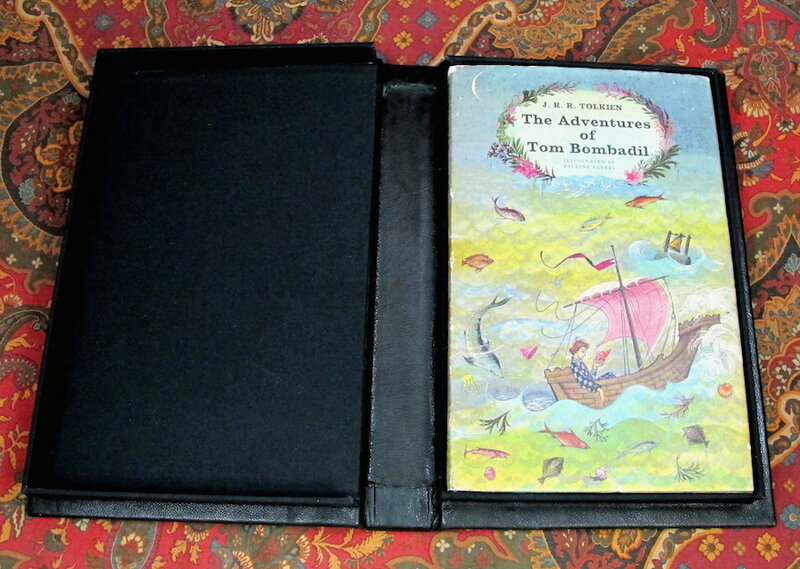 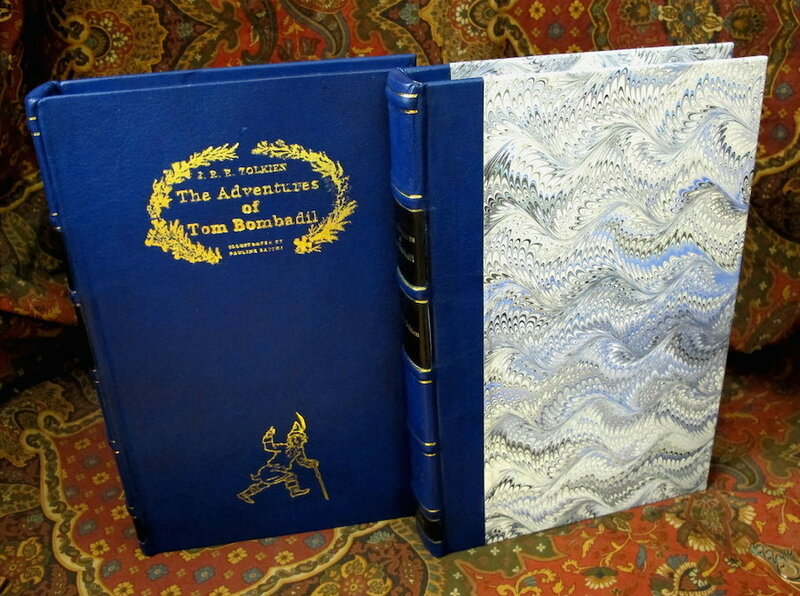 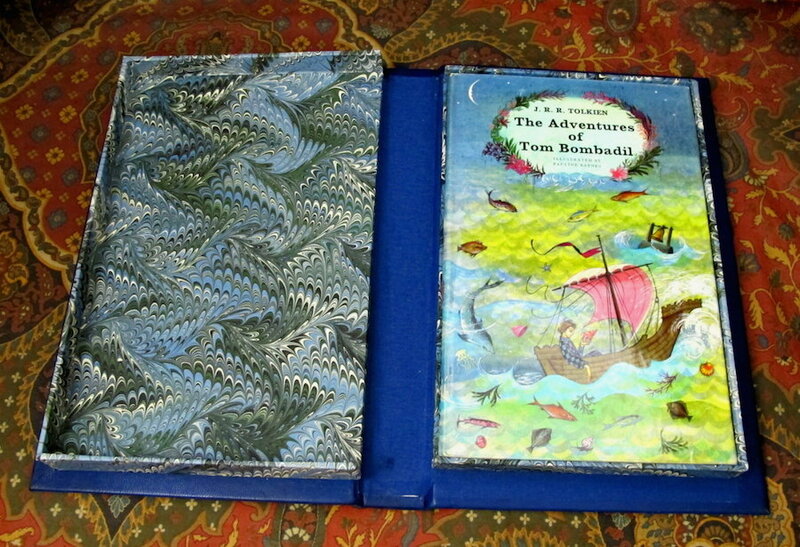 Custom full leather clamshell case for The Adventures of Tom Bombadil, covered with morocco leather, gilt stamped to the front with the Wreath, Author, Illustrator, & Title from the original dustjacket illustration, with the lower portion stamped with Pauline Baynes figure of Tom Bombadil from the title page. 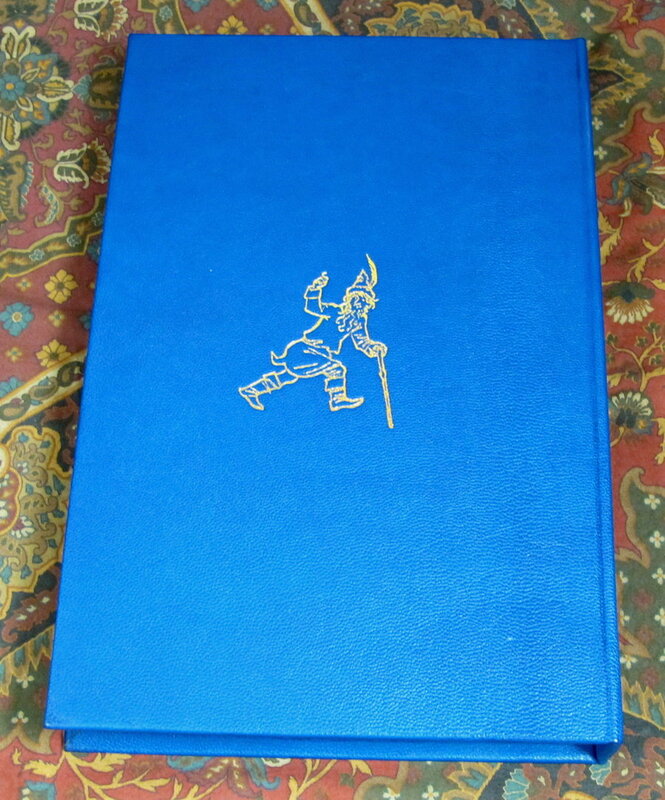 The rear board stamped with the JRRT Monogram. 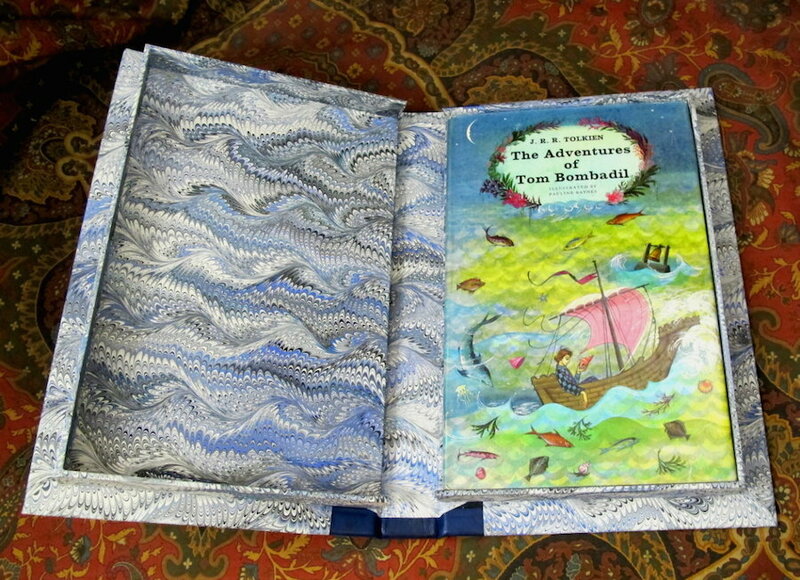 The cases feature trays covered with Italian Bookcloth and lined with felt to compliment the colors of the book and the full leather covering. 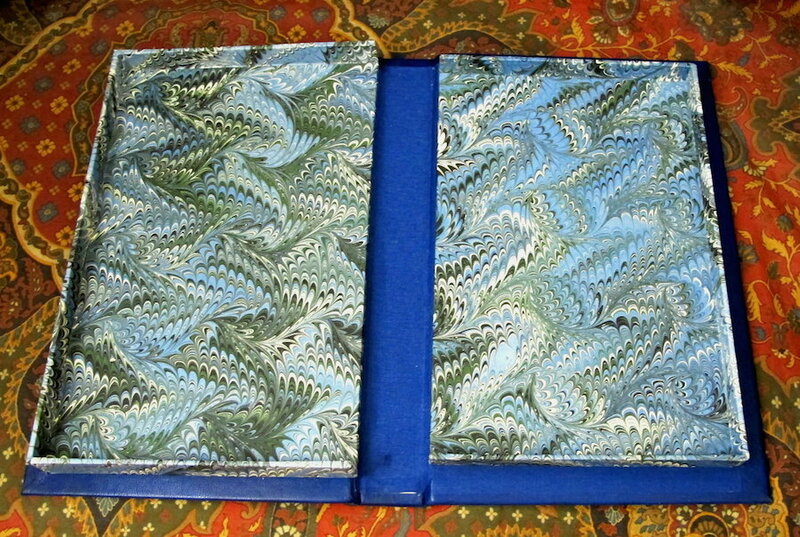 The spines of the cases feature raised bands with gilt rules, colored inlays stamped with the Title, Author, and the publisher Allen & Unwin, and the date published. 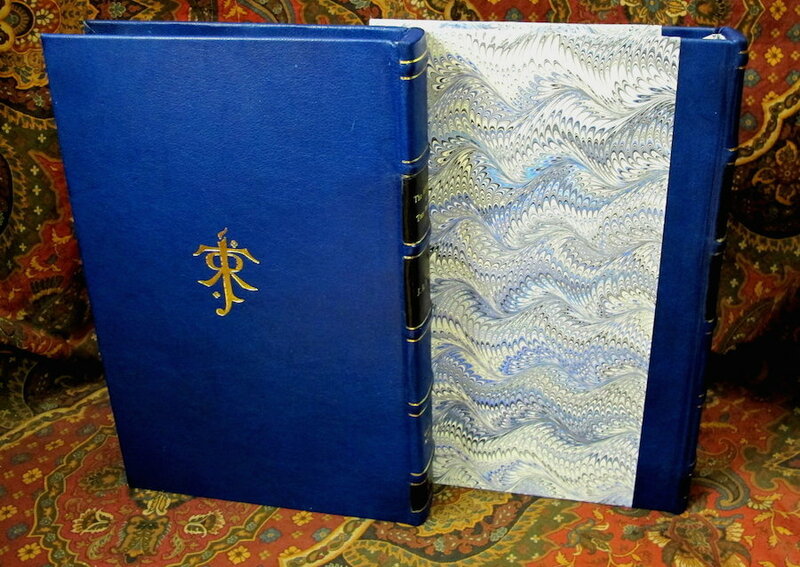 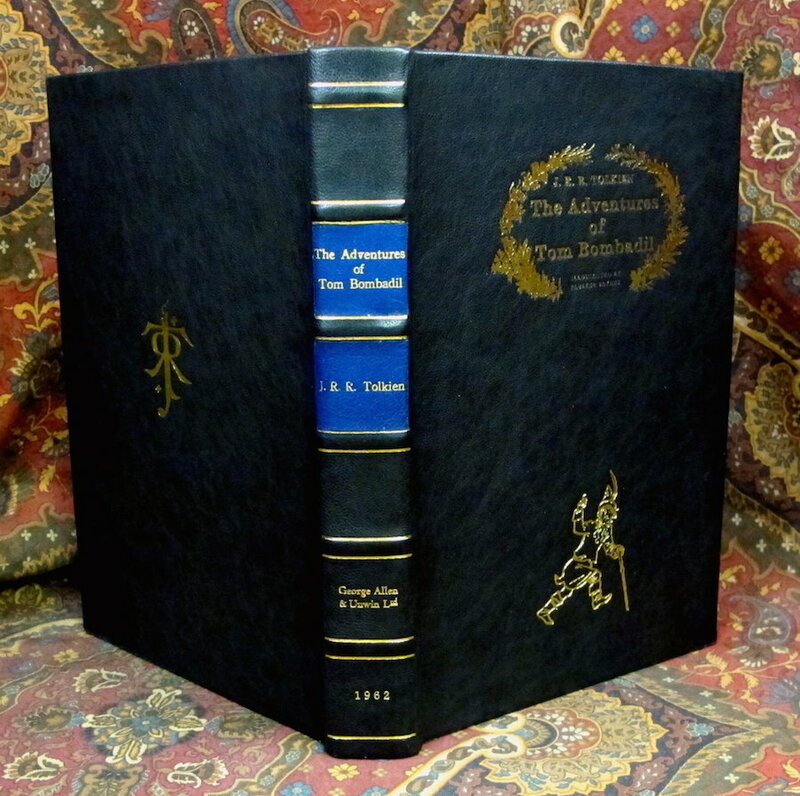 A wonderful case to house your collection of one of Tolkien major works.